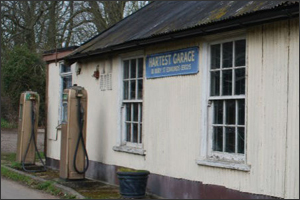 We campaign for historic buildings of all ages and all types. Join the AMS and make a difference to our work. Read about membership. We work in partnership with the Friends of Friendless Churches - saving redundant places of worship from demolition and decay. If you are interested in historic buildings of all ages and all types, and want to support a small charity which really makes a difference, join us. You’ll receive three fascinating Newsletters each year plus invitations to visit buildings and sites not normally open to the public. We help to conserve, and further the study of, buildings of all periods and styles and, as a National Amenity Society under the 1968 Town and Country Planning Act, have a statutory role in defending them. Find out more about our work and get involved. 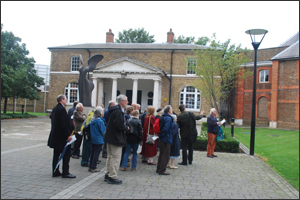 The AMS Newsletter is packed with information on UK heritage, including legislative changes, casework in England and Wales, key initiatives, campaigns and events. It’s considered by many in the conservation world to be invaluable. Find out more and read a sample here. If you are interested in historic buildings of all ages and all types, and want to support a charity which really does make a difference, join us. 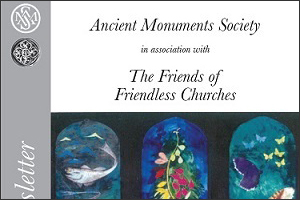 We operate a joint membership scheme with the Friends of Friendless Churches, so for just one subscription you can join both societies.